Both bars and brackets are made with black powder coated 304 marine grade stainless steel. They are extremely durable and resistant to corrosive elements, making them some of the best bars in the industry. 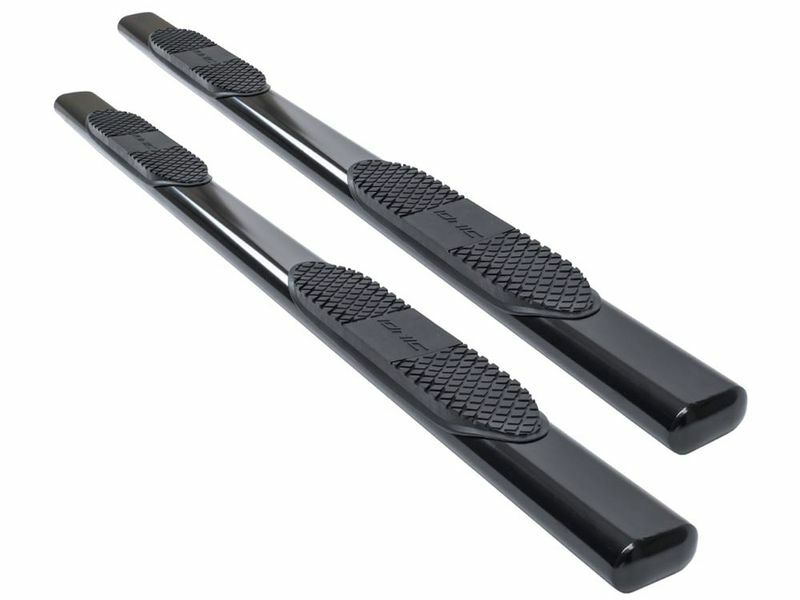 Step into your truck with a set of Ionic Pro Series 5" Blackout stainless nerf bars. Ionic Pro Series blackout nerf bars are constructed from corrosion resistant 304 stainless steel tubing and coated in a black powder-coat finish. These boards are made to last and will stand up against harsh elements. Ionic Pro Series 5" Blackout stainless nerf bars fit the length of your cab and feature a reinforced composite step pad at each door. Install these boards with the included black stainless steel mounting brackets. Give yourself and your passengers a sturdy and safe step to enter and exit your vehicle with Ionic Pro Series 5" Blackout Stainless nerf bars. Get your set today!